A new survey reveals that access to remote working was high across all industries, with 84% of project management respondents utilising remote working. Remote working is most prevalent with the IT sector, with 95% of those surveyed employing this approach. But the survey, from PM Summit, also found that 42% of project managers believe that they have less control of projects when their project team is working remotely. It also found that only 10% of project management professionals believe that remote working gives them more control of projects. This figure falls to as low as 8% among IT professionals. PM Summit said that 52% of respondents believe that remote working increases project success rates. But it added that a surprisingly high 19% of respondents believe that remote working reduces project success rates. This is even more pronounced among IT project managers, with 21% of IT project managers believing that remote working may actually hinder the success of a project. 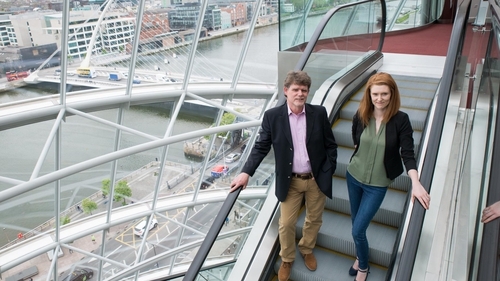 The study was carried out with the assistance of Pan Research and surveyed a representative 331 Irish person sample of the country's more than 50,000 project managers. These come from a broad range of sectors including IT, finance, pharma, architecture, engineering and construction. Raymond Poole, CEO of PM Summit, said the survey found discrepancies around attitudes towards remote working from project managers and team members. "It seems that while team members find remote working to be a positive experience, more senior managers report challenges around managing teams and projects," he said. "Clearly many feel that remote working causes control issues. The key to improving this is clear communication, an established structure including timelines and defined goals. "These practises are the core of managing remote teams properly," Mr Poole added. This year's PM Summit will take place at The Convention Centre Dublin on March 13.